It is often made with the synthesizer as the key instrument, hence the name. This is a sound that can be used in lieu of various other more traditional instruments. The drum machine is especially noteworthy. This helps to create a consistent sound. Guitars can be used in many cases just as well. Guitars are often heavily tuned and can be linked to many programs or computers to create distinctive sounds. The lyrics of many synth pop songs are especially about technology, romance and the future. Sometimes more emotional concepts are addressed as well as different social issues. Synth pop was especially big in the 1980s as music videos were often produced for many artists in the genre. The style continues to thrive to this very day. The amazing thing about synth pop is that even with its heavily electronic sound, the style continues to inspire and has an outstanding tone that is still prominent to this day. 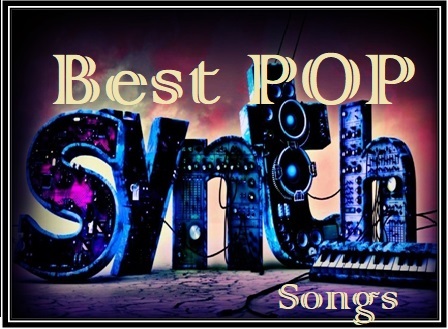 This listing of the ten best synth pop songs showcases some of the most beautiful songs recorded. The Norwegian group a-ha couldn’t get a second hit in spite of strong music video efforts and even performing a theme for a James Bond movie. But this song of their proved to be all people needed. This song brings about not only a strong electronic sound but also innocent and playful lyrics about love. The song’s chorus and its iconic music video make it a track that stands out. Would you believe that this song from the Human League almost wasn’t a single? Singer Philip Oakley was not all that comfortable with this duet about a night between two people at a bar being a single. But it ended up being the group’s biggest hit and especially exemplifies what makes synth pop so great. This song really creates a great mood. A few years after forming from the ashes of Joy Division, New Order got a huge hit with this classic tune. Led by the vocals of Bernard Sumner and a hypnotic bass line from Peter Hook, this track is a brilliant dance tune about forgotten love. The song shows that a powerful melody can come from any instrument. As great and dance-worthy as Bronski Beat’s was, much of the group’s music was about real issues that were impacting society. This classic of theirs was about the issues that the British LGBT community experienced and the homophobia that was prevalent in society. The song proves that even with a powerful and danceable sound, synth pop can make a real emotional impact. Gary Numan was critical to the development of synth pop for its strong use of the Moog keyboard, a critical part of the genre. This song really creates an intriguing sound that is very futuristic in its style and has been a real template for the genre. Numan’s lyrics are especially mysterious although it is unclear if they are about road rage or cars in general. Unfortunately, Trevor Horn and Geoff Downes did not last long together as the duo the Buggles. This is unfortunate as the band was known for creating powerful futuristic sounds that were still grounded and evoked a sense of wonder. This hit single of theirs really looks to the future of music with a swell of emotion. It’s no wonder why this song’s video was the first that MTV ever played. How do you dance the Safety Dance? And how important is it that the Quebecois group Men Without Hats perform without hats? It’s hard to tell but one thing is for certain that this shows just how great a dance beat can be for a song. Ironically, this was written by Ivan Doroschuk after he was kicked out of a club for dancing. Nearly twenty years after Gloria Jones recorded this soul track, Soft Cell made their own synth pop version of the song. It is one of the top one-hit wonders of all time for its impressive and fun sound while still carrying the original emotional feel of the song. This song is especially memorable when paired with the group’s cover of the Supremes’ Where Did Our Love Go; the two songs have been paired together on some releases. Mike Score of A Flock of Seagulls says that this is one of his least favorite songs that he has made and that he only plays it because people like it so much. But there’s a reason why people love it as much as they do. It’s a powerful song with a soaring guitar sound that adds a mix of great synthesizer sounds all around. The great sound of this song makes people forget about the silly hairstyles the band had. Andy McCluskey has one of the most distinctive voices in synth pop. The lead singer of Orchestral Manoeuvres in the Dark, he has written many songs that are futuristic and yet mysterious. This song is about a troubled relationship and has a real upbeat sound to it. But even so, there is a mystery as to whether this relates to the atomic bomb the United States used on Japan in 1945.